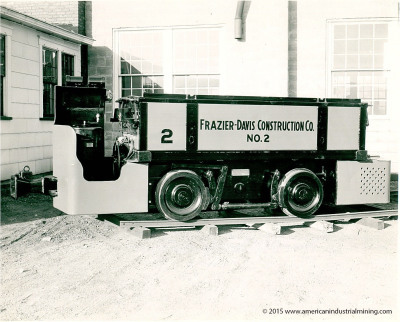 Rudy Schubert started Greensburg Machine Company in Greensburg, Pa. 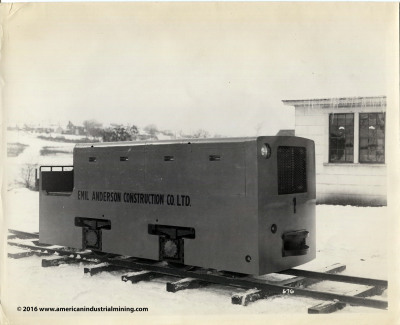 In the early 40's his company designed and had patents on several of the unique features for locomotives. This line is still in production to this very day under new ownership. 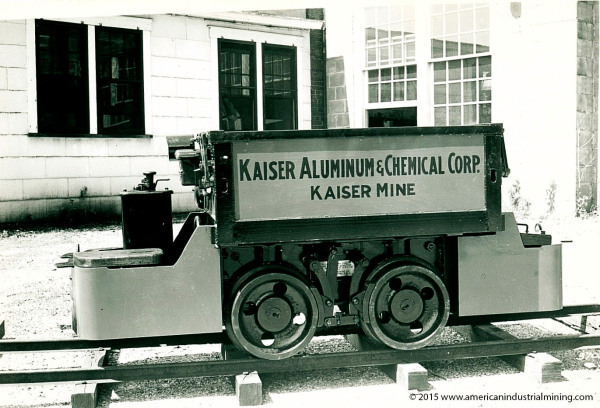 Production ended in December of 1960 at the Greensburg, Pa facility and transfered to Ashland, Ky.
Researching the records it is believed that Greensburg Machine Company started out rebuilding locomotives. 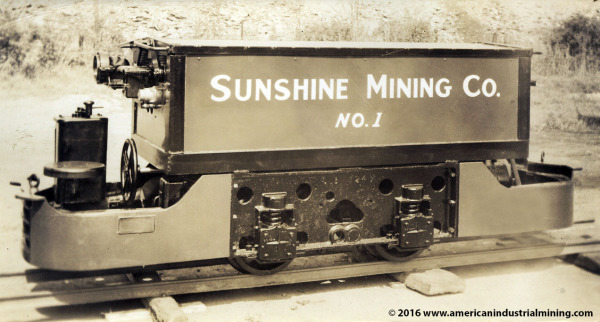 This was a very early Mancha Storage Battery Locomotive for the famous Sunshine Mining Company in northern Idaho. 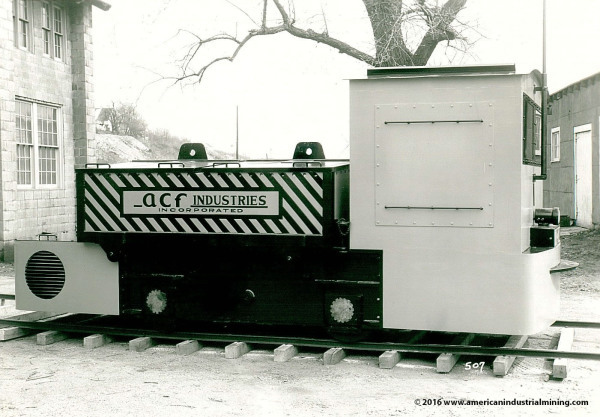 The locomotive went through the Greensburg rebuild process including installing Greensburg axle drive assembly gear boxes of which were a completely a different design from Mancha. This is the oldest known unit to prove the theory dated from 1943. The builder's tag clearly stamping a construction number in the Greensburg series but this was a Mancha Standard AX model. 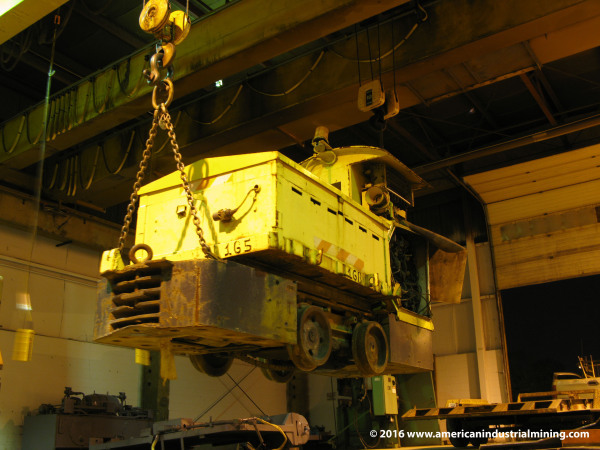 Still operating in Alabama as of our last visit to American Cast Iron Pipe in 2008. 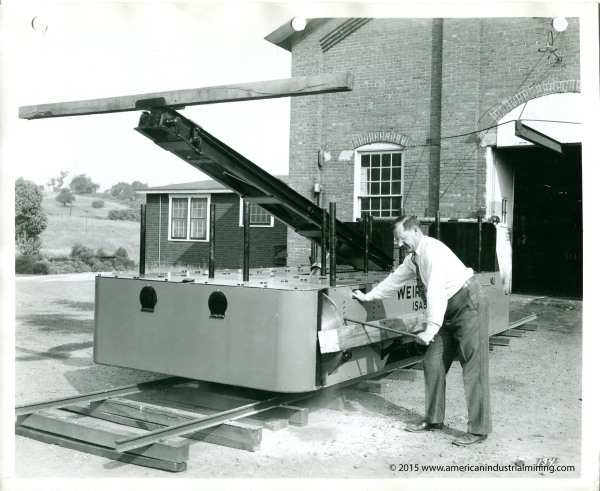 Rudy Schubert demonstrating one of the Greensburg Locomotive Timber Setting machines. In the picture below notice the saw blade rotating with no guards and a simple bar to hold the material in place. 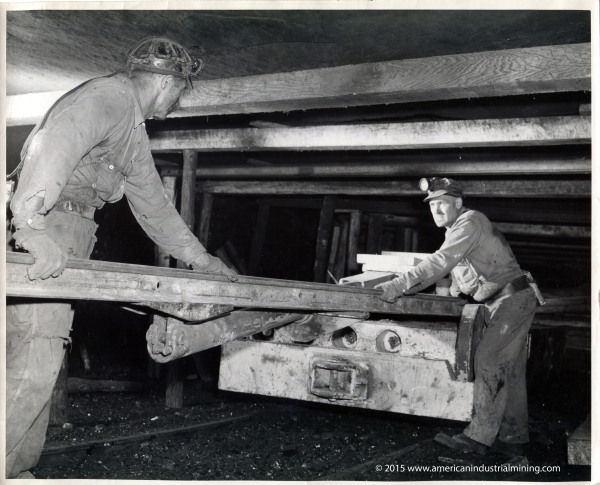 Once the timber was cut to length in most cases it would serve as the post / prop for early roof control in the mines. The picture to the left shows miners setting a piece of mine rail for the roof cross bar and then the props were set. 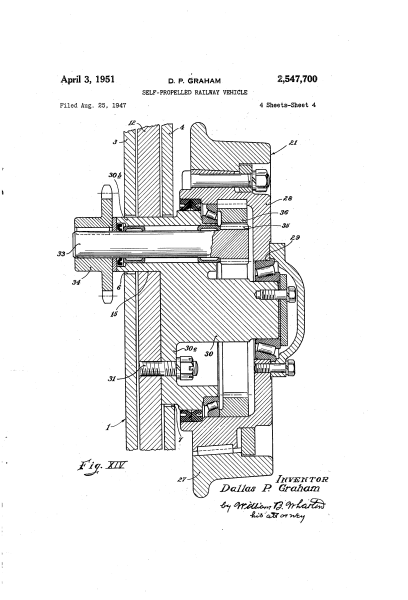 A unique drive system very similar to a planatery drive was designed and patented by Greensburg Machine Company but unsuccessful. 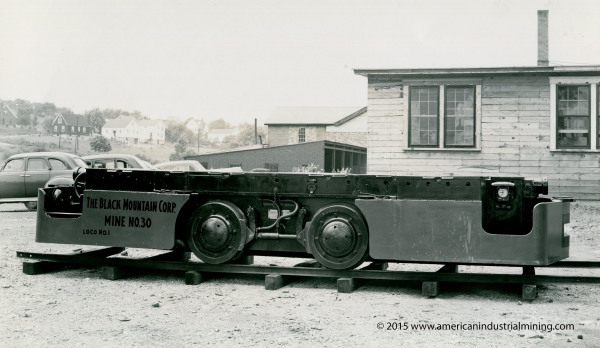 Greensburg Machine Company designed a dual purpose rail vehicle to transport men and supply cars for the coal mine industry known as the Greensburg Mankar. Majority of the units were trolley operated but some were storage battery. 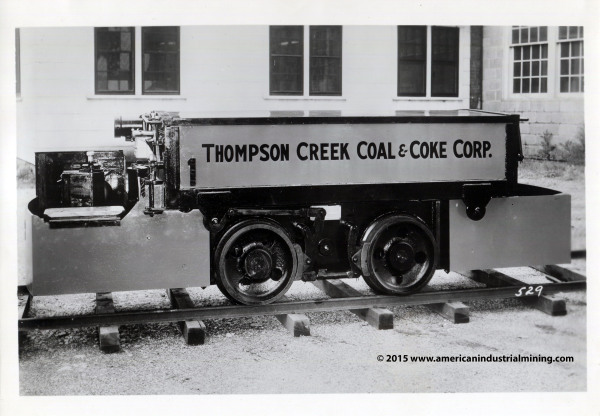 Above was one of the first developed for the Harmar Coal Company. going for a test run at the Greenburg, Pa facility. 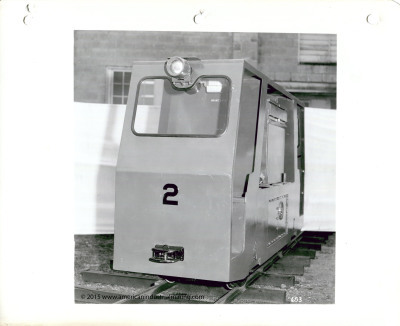 Greensburg produced a dual pupose rail vehicle called the MANKAR. Pictured above is 1 of units permissible units built for the U.S. Navy Red Hill underground fuel depot in Hawaii. 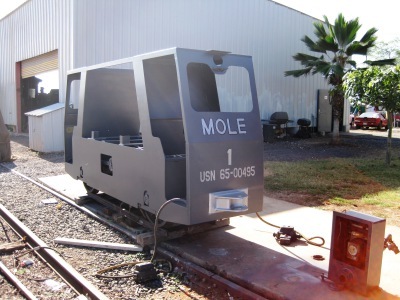 Unit 1 is on display in Hawaii and currently undergoing restoration. Picture taken by Jeff Livingston used with permission. 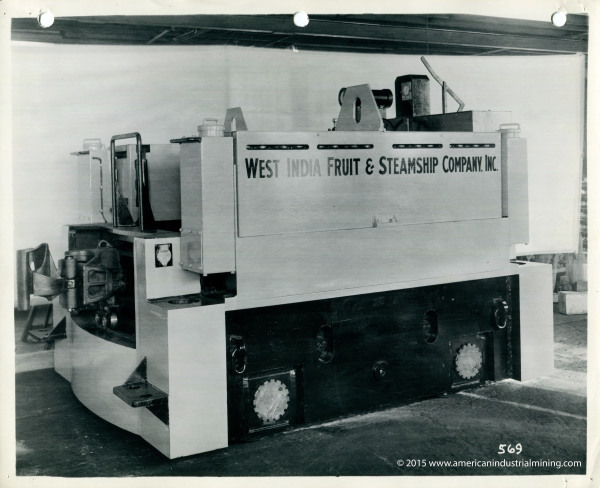 West India Fruit Steamship Co. 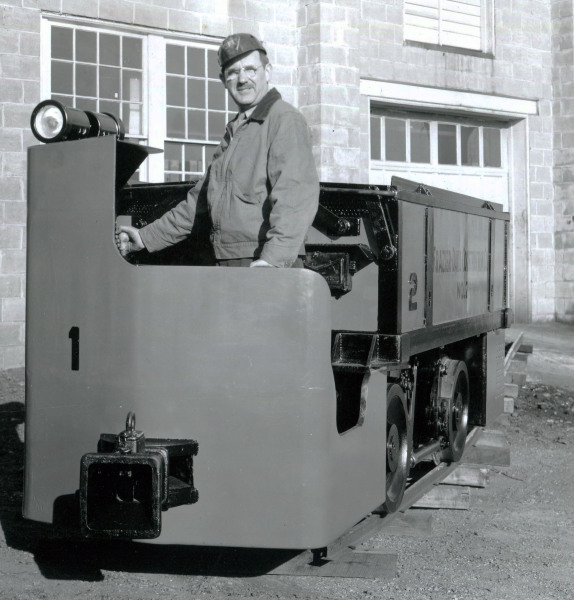 This car ferry Greensburg Storage Battery Locomotive was designed and built for the West India Fruit and Steamship car ferry system. It is unknown if it made a revenue voyage on an assigned ship due to the mfg date of May 1960 when the locomotive was produced as to the close proximity of when the West India Fruit Steamship Company went out of business. Notice the unique tie downs for car ferry service. It is unclear if only 1 unit was built or 4. 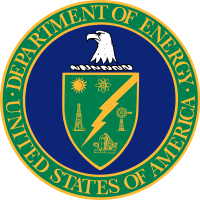 Greensburg Machine Company played a vital role with the U.S. Department of Energy nuclear programs in the 50's - 60's. 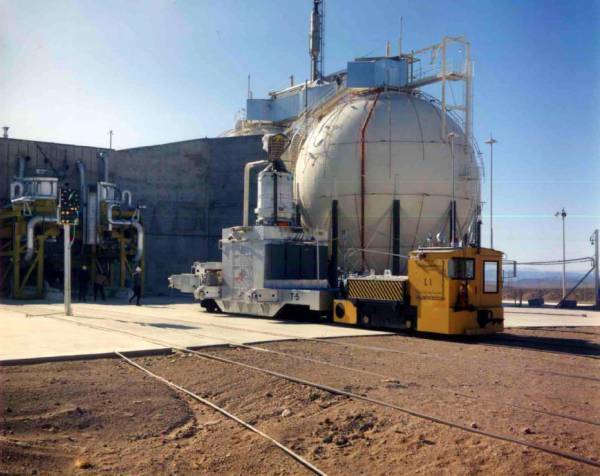 Greensburg Storage Battery Locomotives were shipped to New Mexico Los Alamos National Labratory & to the famous AREA 25 located at the Nevada Test Site. 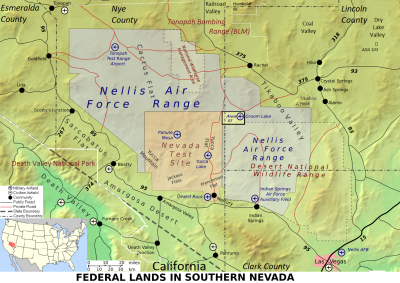 Within AREA 25 was a secluded railway system that was approximately 9 miles connecting all the test sites together. 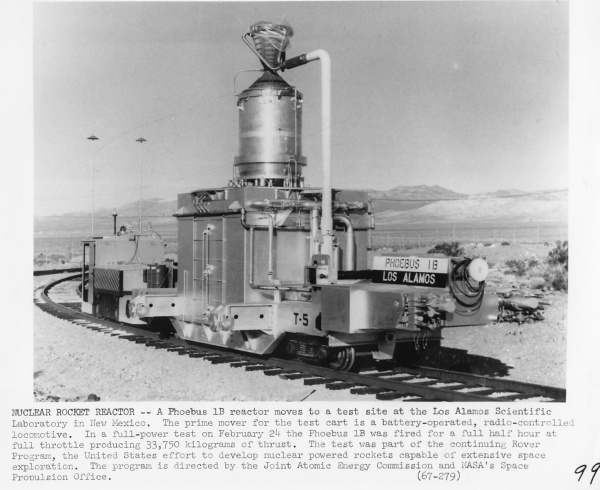 Greensburg Storage Battery Locomotive designed for remote controlled unmanned operation to transport the (NERVA) units due to the radioactivity of the cargo. This Greensburg Cruiser Locomotive was originally built in 1948 and operated outside of Masontown, Pa. 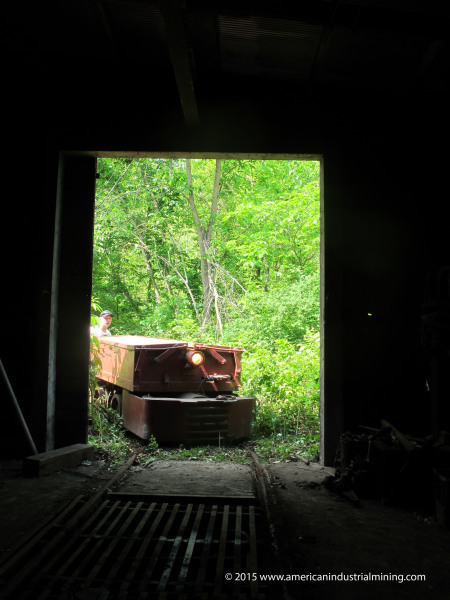 It was then relocated and rebuilt used at this undisclosed mine location in western, pa. 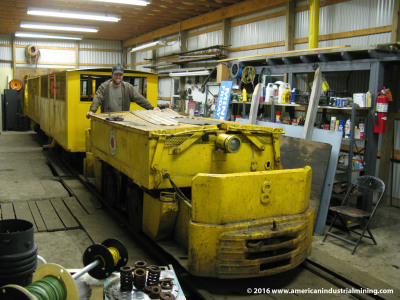 It was parked in the motorbarn and the A.M.I.Co team with a few days of minor work and clearing the tracks got it back to operating status in 2011. Perfect running shape. We hope to assist this project to the next level in the next few years. 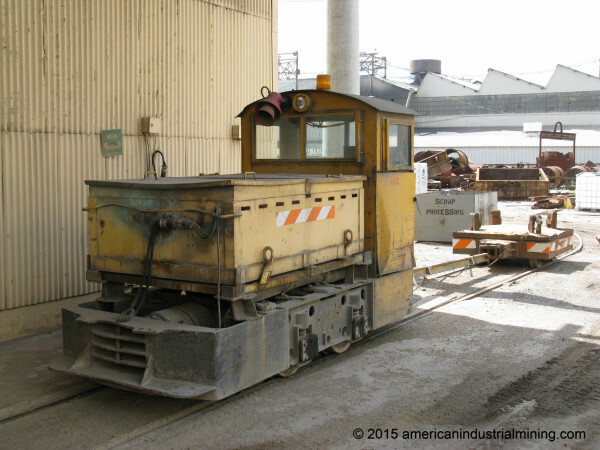 Seldom Seen Coal Mine tours operates (2) Greensburg Storage Battery Locomotives at the tour mine. In 2006 we had the opportunity to tour all 3 anthracite fields in a day with some great coal preservationist friends of ours. 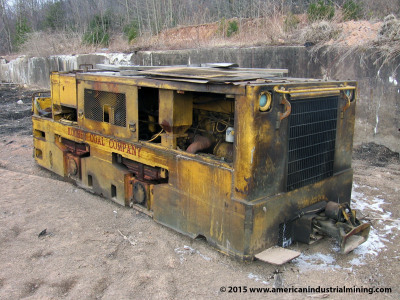 This was a 15 Ton Greensburg Diesel Locomotive that last operated at Porter Tunnel. Notice the unit was fully equipped with rerailers to put it back on track if neccessary. Porter Tunnel production records stopped in 1993. 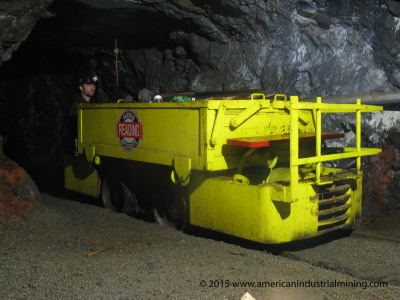 Another great underground tour mine reflecting the rich history of the Anthracite Coal region located in Lansford, Pa. The Number 9 Coal Mine Museum runs regular tours. 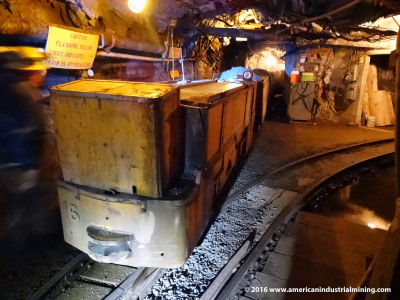 The mine has been operating tours since 2002. The original mine operated from 1855 to 1972. 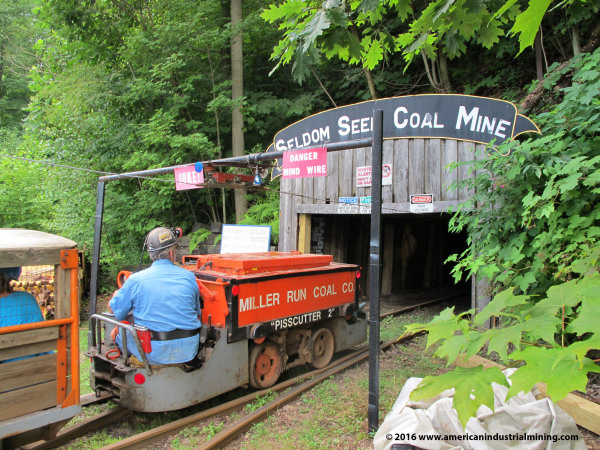 Pioneer Tunnel is the oldest operating mine tour in the Anthracite Region located in Ashland, Pa. The tour offers both an above ground and underground options complete with picnic areas. Pioneer operates (2) Greensburg Storage Battery Locomotives. 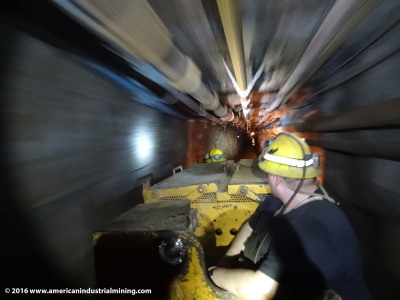 In 2015 The American Industrial Mining preservation team had a great opportunity to go underground in an opporating production silver deep mine in Northern, Idaho. 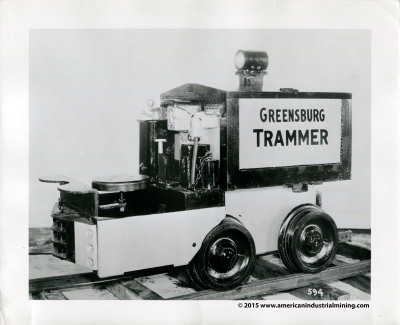 The same mine had a unique remote controlled Greensburg Storage Battery Locomotive. 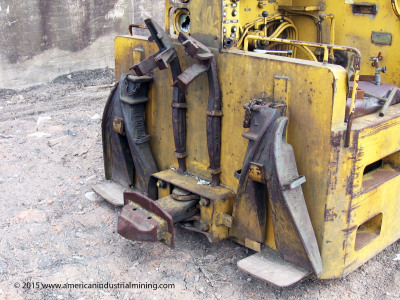 The operator would exit the unit and load the mine trains underground near the shaft location at the ore bins. This Greensburg Storage Battery Locomotive just came out of our restoration shop in Ohio and was trucked to the Teaberry and Southern Railroad in St. Marys, Pa for a thorough test run. American Cast Iron Pipe Company located in Birmingham, Alabama operates a unique industrial railway for the foundry and steel pipe process known as the "Hot Metal Dinky Railway"
American Cast Iron Pipe Company was gracious in donating one of the locomotives from the railway for preservation to our organization. 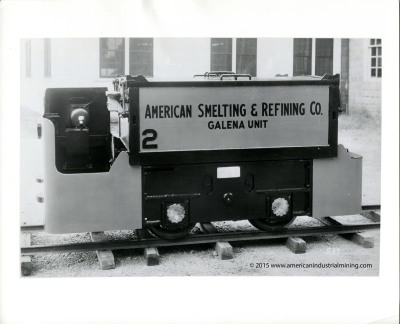 This Greensburg Storage Battery Locomotive was saved in a nick of time as the site of the Eagel Coal Company was being reclaimed near Butler, Pa. 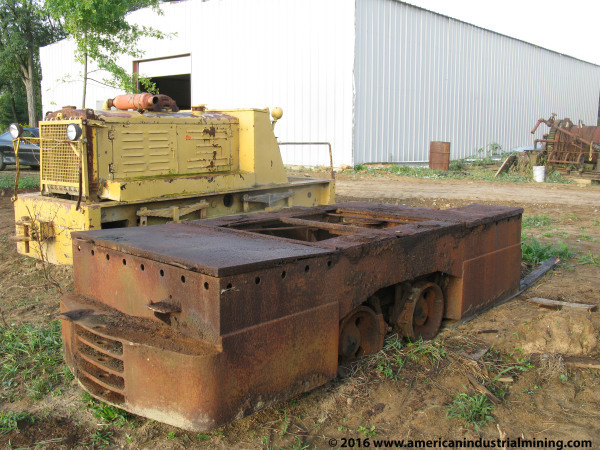 This picture was taken when it arrived to The A.I.M.Co motorbarn in Ohio.